Russian, Norwegian, Sámi and Finnish LGBT communities met in Kirkenes for the second year in a row for seminars, meetings and parade. Click on video to play. 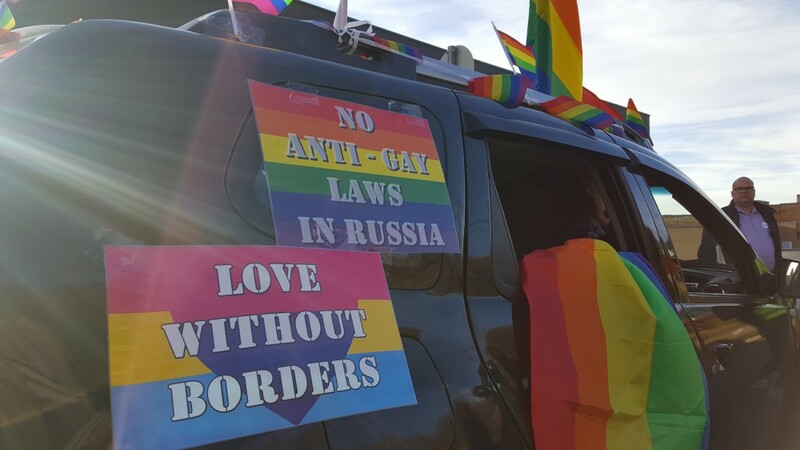 “Love has no borders” - a slogan carried when about 300 people teamed up for the second Barents Pride in Kirkenes, the border town. In Russia, pride demonstrations have often turned vilolent and are said to be among the world’s most dangerous. In 2013, Russia introduced legislation to outlaw propaganda of non-traditional sexual relationships towards minors. The law had a chilling effect on gay and lesbian rights activists and led to increased violence towards them across Russia. 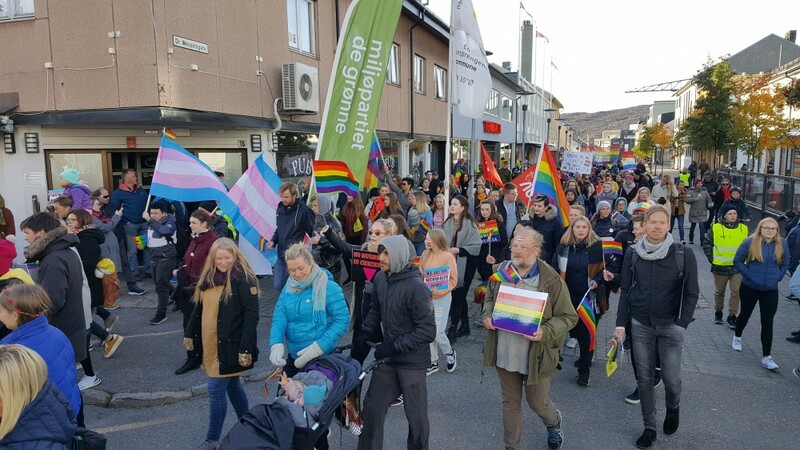 Saturday’s pride parade in Kirkenes was everything else than violent. With the town mayor in front, and smiling police standing side-by, the participants walked from the children’s school through the residental area to the central square. Here were people from Murmansk, Karelia and other places in Russia. Also, people from Finland and other places in Norway came to Kirkenes for the weekend. Additional to the pride parade, seminars, meetings and social gatherings took place. Both Amnesty International and the Norwegian Helsinki Committee were supporting the event. This is the second year with cross-border pride parade in Kirkenes. Last year, some of the participants were stopped on the border upon return to Russia and questioned by FSB about what happened during the seminars and parade.